Travelling to or from Slovenia? Ship your luggage ahead with My Baggage. My Baggage’s convenient door to door luggage shipping services can help you to save time and money on your next trip. 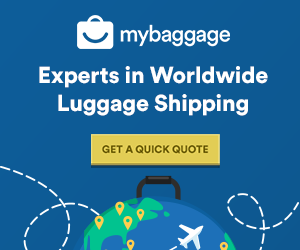 Easily ship your luggage ahead to your destination! 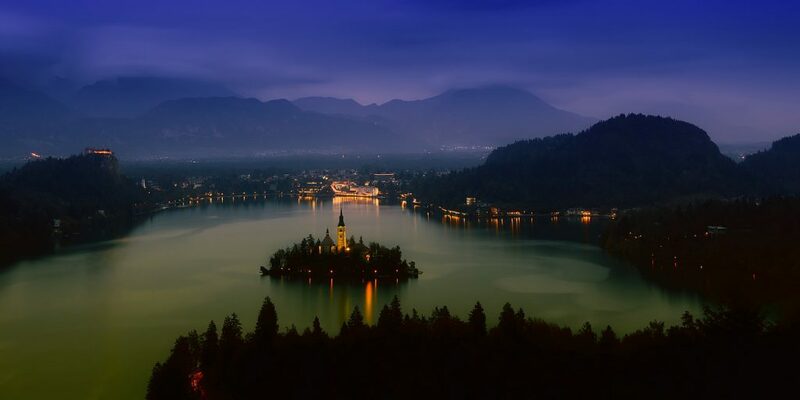 Slovenia, a country located in central Europe, is best known around the world for its mountains, ski resorts and lakes. The official language of Slovenia is Slovene, but Hungarian and Italian are spoken in border regions. 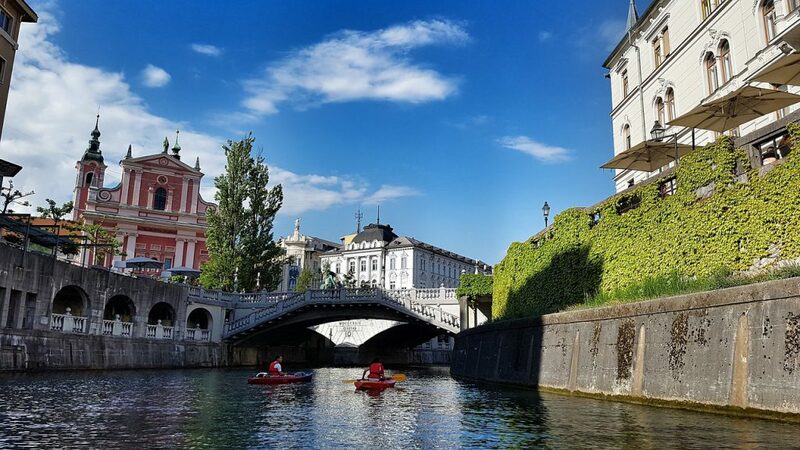 The country’s capital is Ljubljana. The capital, Ljubljana, translates as “The Loved One”. The world’s largest ski jump is located in Slovenia. Slovenia is bordered by Austria, Italy, Croatia and Hungary. Half of Slovenia’s total surface area is forest. Triglav National Park is one of the oldest parks in Europe. Why Should Your Ship Your Luggage To Slovenia? Whether you’re travelling to Slovenia to study to holiday, to study abroad, to work or perhaps you’re relocating with your family – no matter your reason for your travels, you’ll likely have a lot of personal belongings to bring with you. Shipping your luggage ahead to your destination in Slovenia is easier and cheaper than booking baggage on your flight, and is a much more cost-effective method than paying out for a removals company. Not only that, but shipping your luggage head means that you can travel luggage-free. You won’t have to haul heavy bags and suitcases through taxis, train stations and airports, nor will you have to waste time waiting at check-in desks or luggage carousels. My Baggage offers a convenient, affordable way of transporting your personal belongings to Slovenia, no matter your reason for travel. We provide a fully door to door service, complete with online luggage tracking and a dedicated customer support team ready to help you via phone, email or live chat if you happen to have any questions along the way. Shipping your luggage with My Baggage is effortless. Simply book online to send your belongings straight to Slovenia. Our online booking system is available 24/7 and takes just a few short moments to complete. You can choose a collection date that suits you and fits around your travel plans. Once you’ve booked, we’ll send you some shipping labels to print and attach to your items. After that, sit back and relax as we take care of the rest. As well as luggage, My Baggage can help you to ship large, oversized items to Slovenia. These types of items can come at a hefty additional cost when you try to carry them with you on your flight, so when you choose My Baggage, you can wave goodbye to excess baggage fees. If you want to ship something to Slovenia that isn’t mentioned below, simply contact us and we can advise you on whether we can ship your item or not. If you have loved ones living overseas, My Baggage makes it easy for you to send them a thoughtful gift or care-package. Before proceeding with your booking, just be sure to do some research into Slovenian customs regulations. Make sure to invest in a sturdy, double-walled cardboard box so that your item is well protected during transit. Cycling is well catered for in Slovenia, with dozens of scenic on-road and mountain biking trails waiting to be explored. You can take in the sights with your own bicycle, instead of worrying about having to rent one when you arrive. Simply book online and we will collect your bicycle from your address and deliver it straight to where it needs to go. Slovenia boasts numerous scenic ski resorts, and is even home to the largest ski jump in the world. If you’re heading to Slovenia on a skiing holiday and want to bring your own equipment along, My Baggage can help you. With My Baggage, you can transport your skis straight to Slovenia without having to rent equipment when you get there. Or worse, having to pay extortionate oversized or overweight baggage fees on your flight. When sending your belongings to Slovenia with My Baggage, we recommend using either suitcases or strong cardboard boxes to package your items so they are suitable for transit. With My Baggage, you can ship your personal belongings anywhere in the world no matter reason, whether you’re holidaying, relocating or even studying abroad. However, before booking, you should make yourself aware of restrictions that are set in place on certain items for security and customs purposes, as well as our compensation policy. Please note that import allowances, security and customs processes differ all around the world. We recommend that you do your own personal research into what may be prohibited in your destination country before booking your shipment to Slovenia. When shipping goods to Slovenia, you are legally required to complete and send a customs declaration with your shipment. Whether you’re sending personal effects or a gift, if your shipment does not have a customs invoice attached, it will not make it past your local country border, and you may have to pay return charges to get it back. Uni baggage will automatically provide you with the appropriate customs documents for you to complete and attach to your shipment when you send your luggage to Slovenia. Generally, My Baggage shipments clear customs in a timely manner, free from duties and taxes, as most countries offer a generous duty-free allowance for personal effects. However, as customs processes and allowances differ around the world, we do advise doing your own research into Slovenian customs regulations and quarantine before booking your shipment. Please make yourself aware of any potential customs duties. The best thing about My Baggage is, of course, the price. We strive to keep your luggage shipping services as affordable as possible, so that anyone, regardless of their reason for travel can use our convenient services. Not only that, but we offer value for money. With My Baggage, you can ship a massive 30kg/66lbs suitcase or box to Slovenia. Booking with My Baggage is up to 80% cheaper than booking with the courier directly.